This post is for my amazing friend, T, who says she’s lonely at night with nothing to read. Doubtful though. She’s one of the most well-read individuals I know. She inspires me to watch less TV and read more. “I’m a chipmunk, I like to dance!”…she says it super fast! And, “chicka wow-wow, chicka wow-wow, boom boom” …while wiggling her tooshie back and forth and she particularly loves doing this in front of the mirror. 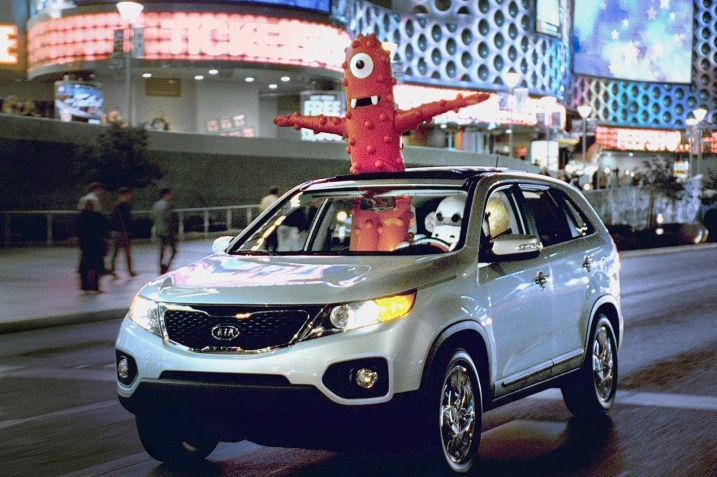 Today she saw the Kia Sorrento commercial for the first time. The one with the sock monkey and the Yo Gabba Gabba character. She wanted to see it over and over again….as she danced to it! What kills me is that she doesn’t say she WANTS to see it again she says she NEEDS to see it again. And from the use of both of these words in other sentences she does seem to understand the difference. D has been working a lot. We both made a conscience decision to get out of debt. This is our main priority these days. And although we are both on the same page and fighting this fight together it’s still tough. Getting out of debt means D is taking every job that comes his way. 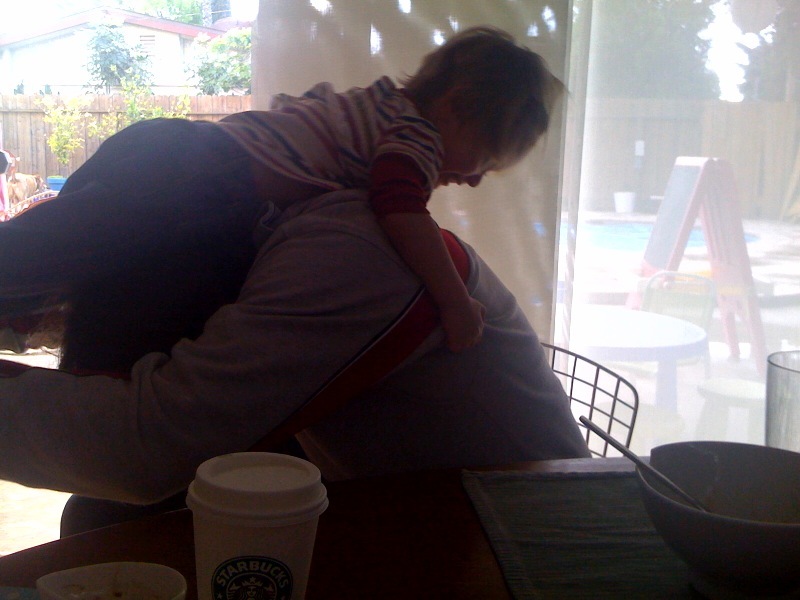 Which means, when he works more so do I. I don’t have him at night to bathe and put P to sleep. I don’t have him around in the mornings. It often feels like he’s away on location. The thing about being around someone, “becoming one with them”…as in a marriage, is that when they feel something so do you. I can feel his fatigue. But we are powering through our mountain of debt so I feel blessed about that. 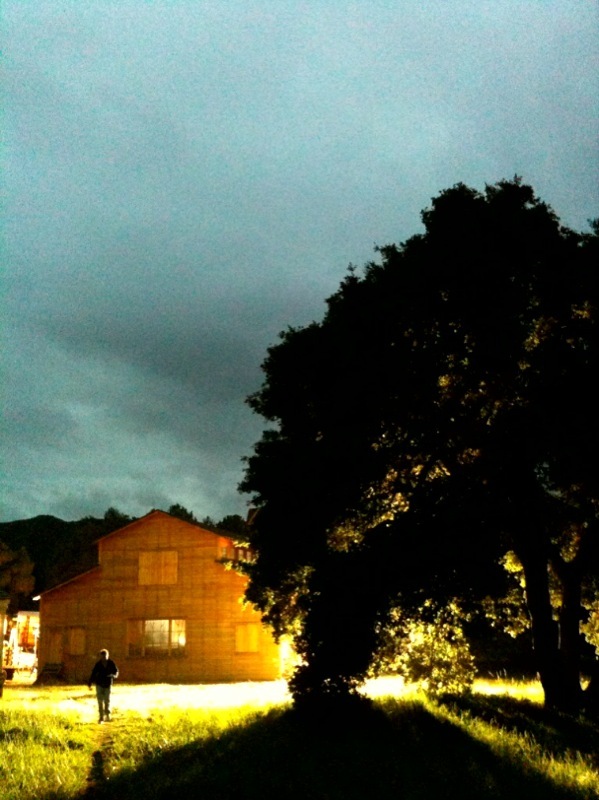 Yesterday he was shooting at Disney Ranch. They no longer allow visitors on set so he sent us this picture. I found it to be beautiful. Often we communicate more through images than words throughout the day. I love that my husband is so visually driven. When P does have time with D I love to photograph them doing the things they do. I’m suppose to take this time for myself but often I just want to be a fly on their wall watching the two people I love the most in this world….watching them make each other so happy brings happiness to my heart. Today we rode around the neighborhood, P on trike and me walking. We dropped off celery we promised a neighbor and money we owed another neighbor. 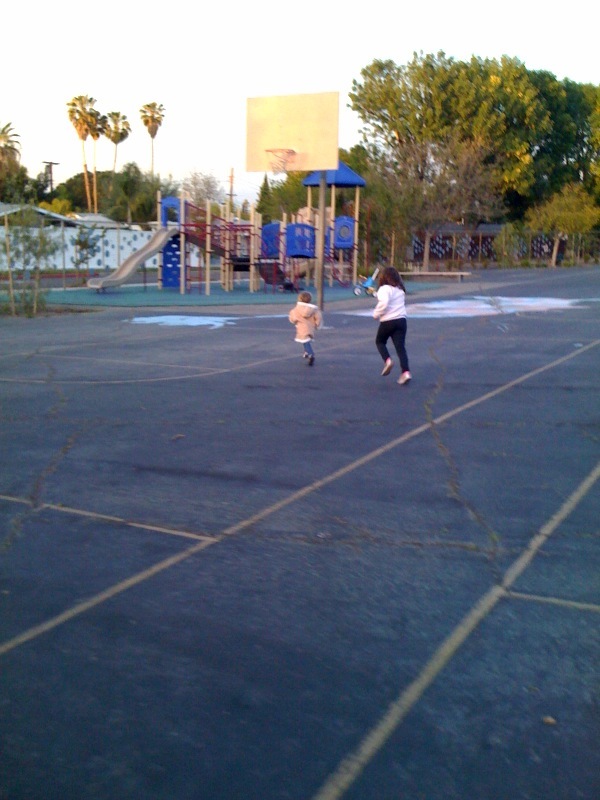 Then we found Calvert’s gate open so we rode inside and played with another neighbor. Although it was cold it didn’t seem to bother anyone. It was good to see everyone again. It’s mid April and it’s unusually cold, in the 50’s today. I love it. Last year we were nearing triple digits at this time. Soon enough we’ll be there again. This is where our life is at this time. Previous Previous post: Where’s My Air?